I’m in the middle of a mountain range that is unfamiliar to me, and the GPS (yes there’s service) tells me to turn right, up this steeeeep hill! For a split second I questioned Maggie, my GPS, as if I thought I might know better or more than her. In that second of hesitation, my car stalled on the steep incline and a wave of panic came over me. I took a deep breath, restarted my SUV, and said to myself, “Just go with it!” I did, and I pushed the gas pedal to get going. With fluttering in my stomach, I made my way up the dark and winding road that had been paved before me. Once I made it to the top of that steep hill, I still had no clue where I was going exactly. I could only see the next step in front of me, and I knew I had to keep going. When I arrived, the destination home where I will be staying until the storm passes was also completely dark and unfamiliar. So, with my measly headlamp and suit of “No Fear!” armor, I followed the steps given to me to let myself into the home to get it up and running. I found the key. Then, I found a light, and from there I just went with it! The fear of the unknown can be incredibly scary, testing your patience and faith. But, trusting the road that has been successfully paved for you can sometimes lead you in just the right direction! Some teachers might feel the same way I did on the steep hill when they begin to teach Shurley English. I imagine you’ve heard someone say, “Just trust the process.” It seems this phrase has become a part of our daily verbiage. I know that I’ve even said it while leading Shurley English trainings. So, let’s take a closer look at how Merriam-Webster defines the words: trust & process. So, what does “trusting the process” mean when it comes to Shurley English? 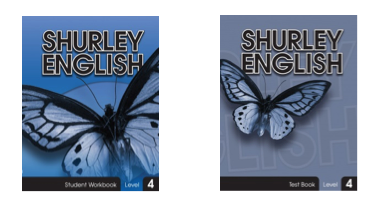 - It means trusting that each feature of Shurley English has a purpose in the big picture of teaching students how to make the Grammar Writing Connection. - It means trusting that the cute little Jingles actually help to lay the foundation for the Question and Answer Flow by using domain specific language. - It also means having confidence in the format and sequence of the Q&A Flow, trusting that it will teach sentence analysis and reinforces sentence fluency and proper sentence structure. - It means trusting in the value of teaching the reverse approach to the Q&A Flow through Sentence Blueprints, in order to help students learn how to build and revise creative sentences independently. - It means having faith that your diligence in teaching all the skills introduced in Grammar, Writing, Reading, and Speaking & Listening, while having students apply them daily, will pay off! - It means relying on the Writing Evaluation Guide and Traits of Effective Writing to help guide your students through the 6-Step Writing Process so they can become confident and competent writers. …you need to let go of the need to know what is unfolding next or why. …you need to be able to have the confidence to simply experience how the curriculum spirals language arts concepts, using repetition. …you need to have confidence that Shurley English will give your students the skills they need to make the grammar/writing connection! Just go with it and be fearless! Welcome aboard Shurley English flight ABC. Please find your seat, stow your baggage in the overhead bin, and buckle-up as we take off into your new school year! This year’s destination is progress and growth. We’ve got a long flight ahead of us so, sit back, stay focused & relaxed, and enjoy the journey! For some of you, Shurley English might be a new addition to your curriculum. Several of you may already be familiar with the effectiveness and uniqueness of our Grammar, Skills, Writing, Reading, and Speaking & Listening features. Regardless of your passenger status, I encourage each of you to keep your eye on the prize: progress & growth! Throughout the journey this year, you may experience some turbulence, making you feel a bit outside your comfort zone, but don’t worry! Simply refer to the previous posts called: “The Perfect Shurley Teacher” and “First Year Freak-Out.” They are loaded with information to help guide you; you can find them in the archives. 2. Repetition & Consistency build Mastery! 3. Trusting the Process leads to Success! 1. Aim for Progress over Perfection! 2. Practice what you Teach! 3. Get Outside of your Comfort Zone! Keep in mind that Shurley English Curriculum is installed with a built-in support system, including modifications, extra-practice, and SEDA lessons, should they be necessary. In addition, the “Always Keep Learning & Be Brave Enough to Keep Growing” light will stay lit for all passengers for the duration of our flight. We are here to support you as you teach students to become competent, confident communicators that will be prepared for any and all future destinations!